Banks in London that relocate operations to the euro zone after Brexit are likely to be spared a lengthy entry test by regulators, making it easier for them to shift, according to two officials with knowledge of the matter. Failing to reach a comprehensive free trade deal with the European Union risks significant damage to Britain's trade in non-financial services, a committee of members of the upper house of parliament said in a report published on Wednesday. Goldman Sachs (GS.N) will begin moving hundreds of people out of London before any Brexit deal is struck as part of its contingency plans for Britain leaving the European Union, the Wall Street firm's Europe CEO said. 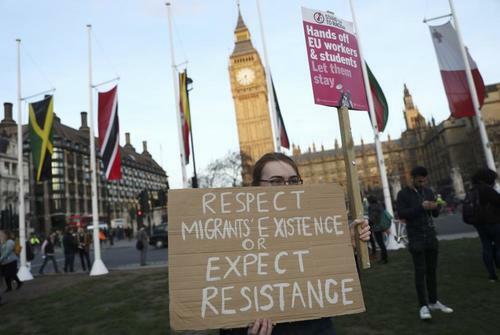 Reuters UKUPON-AVON, England (Reuters) - Amid the insecurity of what will happen after Brexit, tens of thousands of European nationals are struggling - and often failing - to negotiate the bureaucracy that decides whether they can stay in Britain after it leaves the European Union. 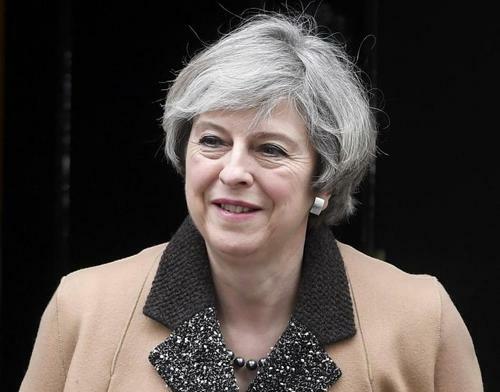 Prime Minister Theresa May will visit Wales as part of a plan to engage with all the nations of the United Kingdom before she formally launches Britain's departure from the European Union. Scottish First Minister Nicola Sturgeon said that any attempt to block a second independence referendum would be undemocratic and evidence that Prime Minister Theresa May fears the verdict of the Scottish people. Prime Minister Theresa May pledged to fight for the "precious, precious union" of the United Kingdom, unveiling what she called her Plan for Britain with a warning to Scotland not to pursue its independence plans. Theresa May says at the Conservative Party Conference that she will adopt a phased approach to Britain's departure from the European Union. Reuters UKScotland could abandon a currency union with the rest of the United Kingdom if it gained independence, former Scottish First Minister Alex Salmond told the Financial Times. Britain's departure from the European Union will be costly for both sides in trade terms, however good the exit deal reached, former head of the World Trade Organization Pascal Lamy said. As Britain prepares to leave the European Union, the country hoping to win the most jobs from London's financial centre is not Germany or France, but Poland. Reuters UKSinn Fein leader Gerry Adams will call on leaders of the U.S. Congress on Thursday to support efforts by Irish nationalists to maintain Northern Ireland's place in the European Union after the rest of the United Kingdom leaves. Reuters UKThey were the two stories that rocked the Western world last year. But while Donald Trump's election injected new life into U.S. political comedy, the British are still waiting for Brexit to usher in their new golden age of satire. Reuters UKBritish Prime Minister Theresa May told the Scottish government on Thursday "now is not the time" for a second independence referendum, saying it would be unfair for people to vote without knowing the conclusion of Brexit talks. Queen Elizabeth formally granted Prime Minister Theresa May the power to trigger exit talks with the European Union, approving legislation which passed through parliament late on Monday. ReutersA nationalist surge at elections in Northern Ireland and a Scottish demand for a second independence referendum have raised doubts over whether the United Kingdom can hold together after it leaves the European Union. A majority of voters still oppose Scottish independence, a poll by Survation showed on Wednesday, with most respondents also saying that a new referendum should not be held before the United Kingdom leaves the European Union. 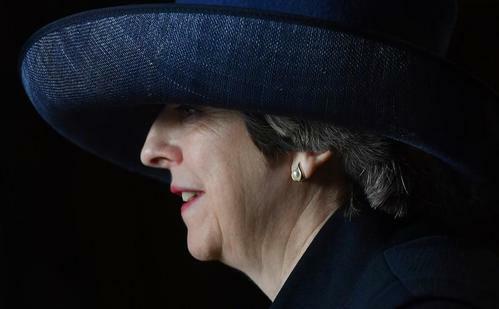 It is not right for government to tell women what to wear, British Prime Minister Theresa May said, after the European Union's top court ruled that companies may ban staff from wearing Islamic headscarves under certain conditions. Reuters UKBritain's Scotland minister David Mundell has said it would be impossible to have a legal and decisive referendum on Scottish independence in the timeframe demanded by Scotland's nationalist First Minister Nicola Sturgeon. The British government has not carried out an assessment of what effect leaving the European Union without a new trade deal would have on the economy, Brexit minister David Davis said. Ireland has complained to the European Commission that it is being undercut by rival centres competing to host financial firms looking for a European Union base outside London after Brexit. Reuters UKBritish Prime Minister Theresa May is committed to engaging with the Scottish government on Brexit plans, her spokesman said on Tuesday, a day after First Minister Nicola Sturgeon called for a new independence referendum. May wins right to launch EU divorce talks, question is when? Reuters UKPrime Minister Theresa May has won the right to launch divorce proceedings with the European Union and begin two years of talks that will shape the future of Britain and Europe. In Prime Minister David Cameron's bid for re-election in 2013 he told voters he would renegotiate the terms of Britain's relationship with Europe and then let them decide whether they wanted to stay. See our slideshow on what has happened since 23 June. Reuters UKThe Scottish government thinks Europeans will understand it has a "special" case to be given EU membership as soon as possible if Scots vote for independence before Britain quits the bloc, a minister said on Monday. Reuters UKNorthern Ireland's largest Irish nationalist party Sinn Fein on Monday said it wanted a referendum on splitting from the United Kingdom "as soon as possible", hours after Scottish First Minister Nicola Sturgeon demanded a new independence vote. Reuters UKAfter eight months of discounting a plethora of UK political risks, sterling's relaxed reaction to the prospect of the launch of Brexit talks and a new Scottish independence referendum may be understandable, but the worst may not be over yet. Prime Minister Theresa May has kept much of her plan for Britain’s departure from the European Union under wraps. 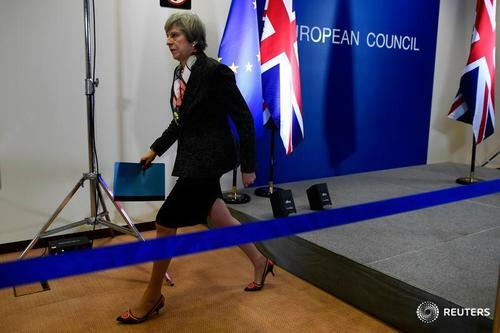 Put yourself in her shoes and decide what ground, if any, Britain would give and what stance it would reasonably expect from its EU counterparts...then see what deal you are likely to get. 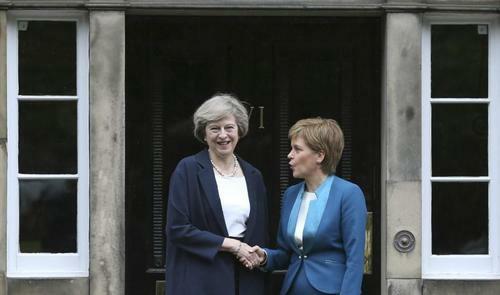 Prime Minister Theresa May chided Scottish leader Nicola Sturgeon for demanding an independence referendum, saying the Scottish National Party (SNP) had "tunnel vision" on breaking away from the United Kingdom. "The tunnel vision that SNP has shown today is deeply regrettable," May said. "Instead of playing politics with the future of our country, the Scottish government should focus on delivering good government and public services for the people of Scotland. Politics is not a game." Sterling ticked higher against the dollar and euro on Monday after Scotland's First Minister Nicola Sturgeon demanded a fresh Scottish independence referendum but said it should take place at earliest in late 2018. Opposition leader Jeremy Corbyn weighs in on the debate, saying there is "no appetite" for a second independence referendum. Spokesman for Theresa May says that the evidence clearly shows that the majority of people in Scotland do not want a second independence referendum. Reuters UKScottish First Minister Nicola Sturgeon on Monday demanded a new Scottish independence referendum to be held in late 2018 or early 2019, once the terms of Britain's exit from the European Union have become clear. Reuters UKThe British government will not agree to any changes to its Brexit legislation that would tie Prime Minister Theresa May's hands in exit negotiations with the European Union, May's spokesman said on Monday. Scotland's Sturgeon says will seek authority for new independence vote, and says autumn next year is the earliest point when the vote could be held. British Prime Minister Theresa May has said she will trigger Article 50 of the EU's Lisbon Treaty by the end of this month. Here are some of the key dates in the process. Britain is drawing up contingency plans for the unlikely event it has to walk away from divorce talks with the European Union without a deal, Brexit minister David Davis said.